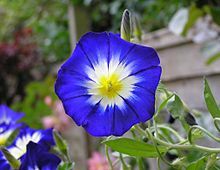 కన్వాల్వులస్ ('Convolvulus; /[unsupported input]kənˈvɒlvjuːləs/) పుష్పించే మొక్కలలో కన్వాల్వులేసి కుటుంబానికి చెందిన ప్రజాతి. 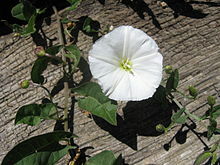 Common names include bindweed and morning glory, both names shared with other closely related genera. They are annual or perennial herbaceous vines, bines and (a few species of) woody shrubs, growing to 0.3-3 m tall. 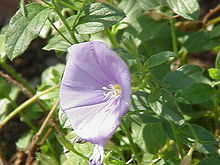 The leaves are spirally arranged, and the flowers trumpet-shaped, mostly white or pink, but blue, violet, purple or yellow in some species. ఈ పేజీలో చివరి మార్పు 4 జూన్ 2014న 06:02కు జరిగింది.